Watering is especially crucial during the hot summer for a verdant lawn! Keeping your lawn healthy and watered can be absolutely overwhelming and draining during the summer months. Unfortunately, the water is also more important than ever, as the intense heat and warmth of summer can wreak havoc on beautiful lawns. If you are interested in taking better care of your lawn all summer long, here are the watering tips that you should know. The morning is the best time of day to water in the summer, since the air is cooler and the wind won’t blow the droplets yet. If you water your lawn around lunchtime, the water will evaporate sooner than it can sink into the roots. If you water your lawn at dinnertime, the water will still be sitting on the blades of grass when the sun sets, which can cause fungus growth. If you can’t water in the morning before you make it out of the house to the office, do so on a weekend morning. Aim for the watering to be done by 10:00 AM. 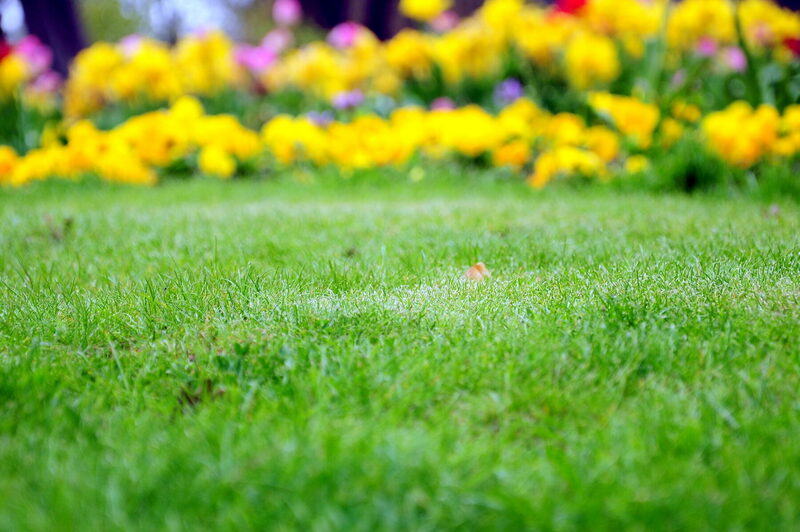 You should always water your lawn deeply enough that it penetrates the soil about 6 inches down, as that is the average length of a healthy lawn’s root system. If you want to check to make sure that watering your lawn did the trick, as a shovel to check the soil every 15 minutes while you water. Time how long it takes for the water to penetrate the ground 6 inches down and then set your sprinklers (or timer) accordingly. The best way to water your lawn in the summer is with built-in lawn sprinklers or pulsating sprinklers. Instead of a traditional oscillating sprinkler, use one that is pulsating. Hook your garden hose up to the sprinkler system. A pulsating sprinkler is ideal for summer lawn maintenance, as it won’t blow away or evaporate as quickly during the day. Oscillating sprinklers often spray water straight up without much direction. This entry was posted on Friday, July 7th, 2017	at 7:42 pm	and is filed under Lawn Maintenance Service, Lawn Tips	. You can follow any responses to this entry through the RSS 2.0	feed. Both comments and pings are currently closed.